According to a recent study, our thoughts and mood directly affect us so deeply that they even impact cell production. This came as no surprise to celebrity trainer and mind-body coach Joel Harper, who has been writing and preaching about the importance of the mind-body connection for more than 20 years, integrating the two in every one of his workouts. It’s no secret—negative thinking drastically affects all aspects of our physical performance. In his book, Mind Your Body, Joel provides a list of physical symptoms that indicate something needs to be addressed from a psychological standpoint. 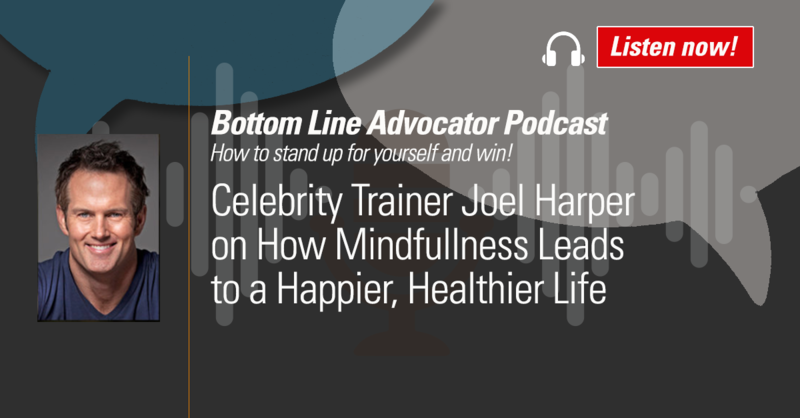 Listen in as he discusses those symptoms with Bottom Line CEO Sarah Hiner and explains how a well-conditioned mind translates to a well-conditioned body.